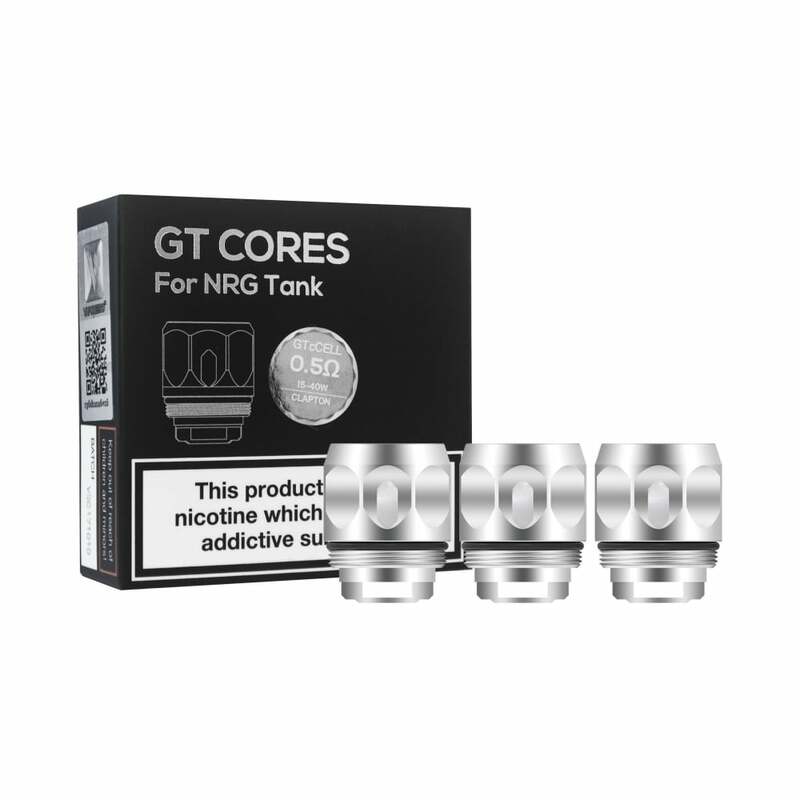 Vaporesso GT Core CCELL Ceramic Coils are sub-ohm coils rated at 0.5ohm and intended for use in the Vaporesso NRG Mini Tank, as included in the Vaporesso Revenger and Revenger X Kits, and the Vaporesso NRG SE Mini Tank. GT Core Coils produce intense flavour and huge clouds of vapour: perfect for cloud chasers! In VW high mode, these coils are to be used at a range of 15-25W; in normal mode, 20-35W and in soft mode, 30-40W. These ccell coils are amazing. So much better than the standard. Worth the little extra paid. Last for ages. I use a revenger kit and I can't be more pleased. Just make sure you prime them well. The delivery was lightening fast every time. I won't go anywhere else to buy my coils! These coils are the best I’ve used since I started with them I’ve not looked back. They make my battery last longer due to working on a lower wattage. Generally they last between 3-4 weeks which I was only getting maybe a week at the most out of the non ceramic ones. The build quality is spot on never experienced any cross threading when setting up. I can’t see myself using anything else. It’s a best coils for my revenger Mini. Thank you for stocking these! My fav coils, great with TC never any dry hits and flavour is great. Very good taste and plenty of flavour and still on the first coil after 3 weeks. Do far my favourite sub ohm tank, the coils can burn out quite quick though so I went onto the ceramic type, so far I'm doubling the life of my other nrg coils, still with great vape and taste, ideal for beginners and great price too.